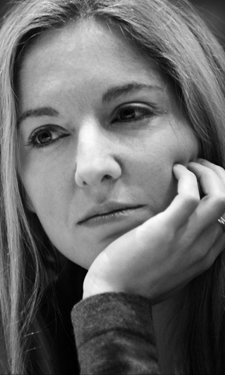 Victoria Coren Mitchell - Blog - Prize winners! Right! Many, many thanks to everyone who posted ideas on the “Heresy appeal” thread. After long debate, in my surprise and delight at so many brilliant submissions, I have decided that one prize is simply not sufficient. I considered giving everyone a prize but that provided too much of a logistical challenge. So I’ve whittled it down to a prize list of twelve, based on a whimsical system with no especially coherent logic. For example: prizes will go to Ian, Nick (“better off without lawyers” Nick) and Andy The Dealer who all provided a good, sensible, usable list of topics. But a prize will also go to James who only submitted three ideas but they made me laugh, especially “The name Lembit Opik is weird, even for a Welshman”. We can’t possibly use that topic – not least because Lembit Opik isn’t Welsh. He’s Irish. Of Estonian descent. But, somehow, it deserves a prize. My absolute favourites combined the two – like John who gave us several great workable topics and also “A comfortable chair will take your mind off a haemorrhoid”. How in God’s name can we debate that for ten minutes of radio? But it made me laugh a lot. So: a combination of amusement, workability, who got in first with an idea that came up several times, who had a list which included ideas we’d already thought of for this series (thus magically chiming) and who asked for prizes that were easy to bestow: all these factors went into the decision, plus some coin-tossing between close runs But, really, almost all the ideas were brilliant – some submissions from non prize-winners will probably end up in the series and some people might end up winning prizes without any of their ideas making the final cut. Hope that’s all right, and thanks so much to everyone. asking for your postal details etc for prizes. If, within a few days, you have not had an email from my lovely assistant Phoebe (like Debbie McGee, but younger and prettier… or should I say EVEN younger and prettier), please post here to let us know and we’ll re-send. If any of you, for any reason, used a pretend email address with your original post, please post again on this thread with your real email address (which will not be published) but you’d better include a mention of which address you originally used or we could be THROWING THE DOOR OPEN TO FRAUD. And we can’t have that. If you used a fake email address and can’t remember what it was, unlucky. The prize will have to be burned. Thanks all again, very much, prize-winners and all others too. Hello there, I just wanted to say thanks. I got the book last week and had read it by the end. Great stuff, and really touching as well, especially the story of young Michael that you er… befriended. It just hit me how young he was. Only a couple of years older than I am now at the time, and had ended up in such a rough situation. Anyway, nice thing to get through the post. My mother especially, thought the card was lovely.